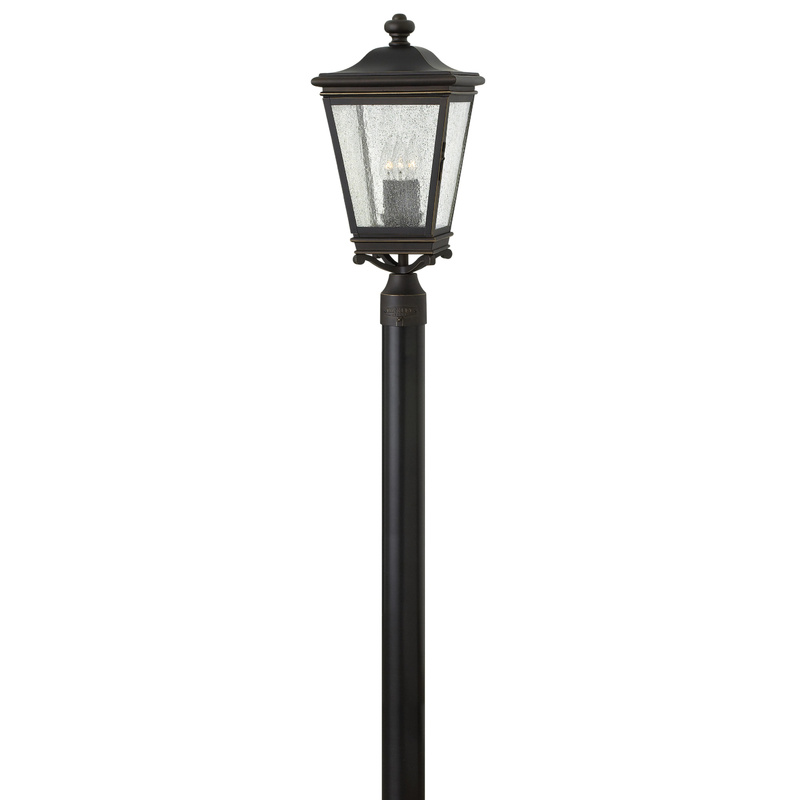 Hinkley Lighting Lincoln™ Collection Outdoor post lantern in oil rubbed bronze finish, features cast aluminum construction with brass components. Lantern has clear seedy glass shade. It accommodates three 60-Watt lamps that have candelabra socket. It has voltage rating of 120-Volts. Post mountable lantern has power rating of 180-Watts. It measures 10-Inch x 21-Inch. Outdoor post lantern is cULus listed.